Long recognised as an indispensable information source for all mariners Survival at Sea is a comprehensive guide on all distress situations and emergencies at sea. Written in simple and practical language the manual describes how to equip your craft with survival gear, properly stowed and organised, and what to do when abandoning a ship. It explains the basics of existing in a survival craft-water and food, equipment, morale, lookouts and navigation; how to care for survivors in need of medical attention; and how to attract the attention of searchers. Other chapters cover survival on land and rescue by vessel or aircraft. Whether you are sailing on a large international trading ship or a small recreational craft, this manual is vital to you and the other members of the crew. It should be studied and kept on hand for reference at all times. 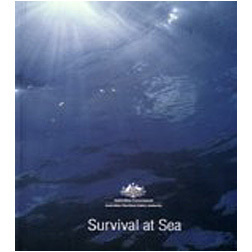 Survival at Sea is more than a manual that will give you pointers on equipment, techniques and procedures. It may literally save your life.